When it comes to choosing to prepare for a very prestigious exam in the country, people are always a little scared and confused about the initial steps. It’s right to say that many of them are unsure on where to begin and what to study. The mind is flooded with numerous queries related to eligibility criterion, IAS exam dates, which subjects to choose etc. one question that keeps popping is whether coaching is a must or not. But the wrong decision can cost any aspirant a lot of time and waste of money. When an aspirant decides to become an IAS officer, coaching or self-study is the first decision he has to take. A candidate not only needs to be intelligent or studious or the hard worker, but to crack the country’s toughest examination one needs a combination of both hard work and smart work. Throughout the examination process, UPSC examines the general knowledge, common sense, aptitude, ethics and communication skill. They studied at home without attending classroom coaching. Following a self-paced study method, one can sail through this exam. Knowing the syllabus is the basic and foremost thing to do. UPSC has provided the syllabus for Civil Services Preliminary and Main examination in an elaborative manner on a website but the official syllabus does not contain much detail of the topics to be studied under each subject. It is expected to gain knowledge of these subjects that should be slightly below the graduation level but definitely above the 12th standard. Knowing the syllabus will help to prioritize the subjects and choose relevant study materials. UPSC releases the calendar one year prior with all the important dates. The aspirants have to check this calendar and be well versed with the exam dates, form filling dates etc. Following a stringent day- night timetable is very important in a student life. An aspirant should be like an officer with well-organized study hours. a comfortable timetable will ease your preparation and transform you into an organized person. The optional subject will play a major role in the fate of your exam. Candidate choosing a particular optional subject should depend on his liking for the subject. It must be comfortable and favorite subject. One has to be careful in selecting the most relevant optional as it helps a long way in scoring well in Mains Exam. Never choose an optional because a friend or a family member suggested it. Nor because it is what most of the aspirants have chosen. The present pattern has reduced the number to one comprising of two papers of 250 marks each. The NCERT books from class six to twelve play a very consequential role. These books provide the information very coherently giving the basic concepts. Also, some reference books should be procured. In addition to books make sure to visit some websites like- Insights on India, PRSIndia, eGyankosh, About India code updated acts, etc. Previous Years Question papers (make sure to study only last 5 years not older than that because the syllabus gets changed) will familiarize you with the kind of questions asked. It is the most genuine source of information for both prelims and main examination. Practicing and revising sample papers will help you to understand the pattern and you will get to know about the mode and the mixture of easy and complex questions. One important part is UPSC never repeats a question. So it is futile to mug up questions. It will only make you understand the scope of the questions. Any aspirant who has a grasp over General Studies can be sure of a good score. Mastering GS is an essential component. The current affairs check the level of the candidate’s knowledge. UPSC wants the officer with sufficient general knowledge. Read a good English Newspaper daily like the Hindu, the times of India, Deccan Chronicle, Indian Express, the Hindustan times etc. one should read the editorials and the special articles related to subjects. Reading relevant information from subscribed magazines like Kurukshetra, Yojana, and Frontline help a lot. Reading the relevant government magazines prepares well. It is very vital to make short notes. One can gain success in the Main examination with intensive study, preparing own notes and revising them regularly. So, it is essential to write down concepts in your own words for each subject, NCERT, newspaper editorial, and current affairs. The main examination is explanatory in nature. It tests the candidate’s analytical ability, his perception, and his thoughts in a flawless manner. Most importantly it is time bound. Therefore candidates have to answer the questions quickly as well as correctly in minimum words. you need to make habit of writing perfect answers within the limited time. So write an answer daily to enhance the answer writing skills. Self-assessment helps an aspirant in realizing his mistakes. Attempting regular mock tests helps in identifying his right direction toward success, his strengths, and his weaknesses. It is essential to join mock test series especially when you are preparing from home. It is not at all important that one attends a renowned mock test series in a metro city. But it can be attended near your house. Once you have got a good grip over a large part of the syllabus, either get enrolled in a good test series or join online test series. The point is practice as much as you can. Make a habit to revise your daily study once. One should go through short notes daily for fifteen minutes. During revision, when one comes across something which one does not remember, simply don’t get panic. The regular revision will retain ones memory power. Subscribe to government websites like pib, press, Television programmes like Rajya Sabha debate etc. These websites will give a wide aspect of government programmes. or You may Join Online IAS Coaching instead of Classroom Coaching to save time and traveling time. Group discussion with friends and online with others who are preparing for the examination will give an edge. This will help to expand the expanse of knowledge. 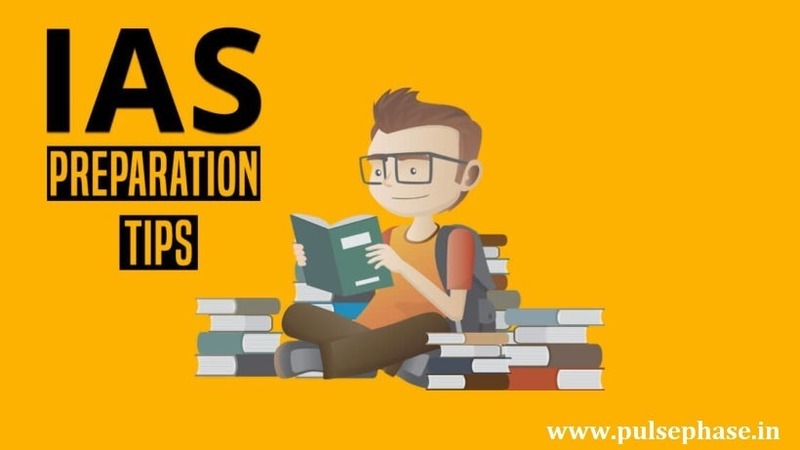 These discussions will also give new ideas on how to start studying for the IAS exam. Social media can give tips on how to prepare IAS at home. 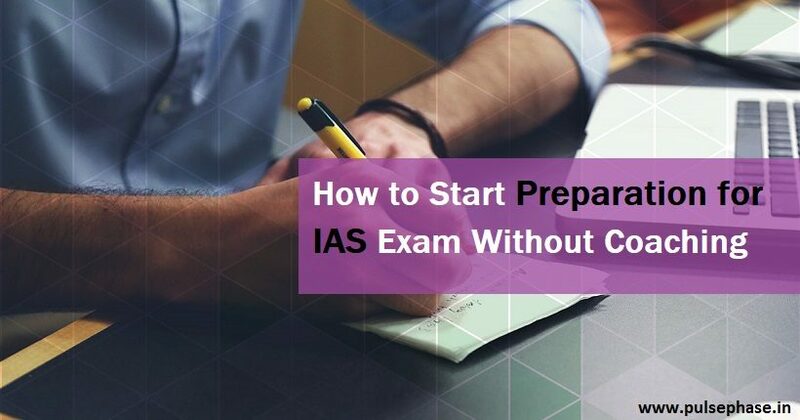 I hope this article will give you handy tips on how to start UPSC exam preparation so that you can get started on the biggest journey of your life.